Today’s guest post is gonna rock your socks off! My friend, Kristen Summers of Celebrate Every Day with Me, is giving mom’s everywhere practical encouragement for teaching children how to serve. Her ebook – Teach Me to Serve: 99 Ways Preschoolers can Learn to Serve and Bless Others – helps parents teach their kids that service begins as a heart-based activity! Thanks, Kristen! 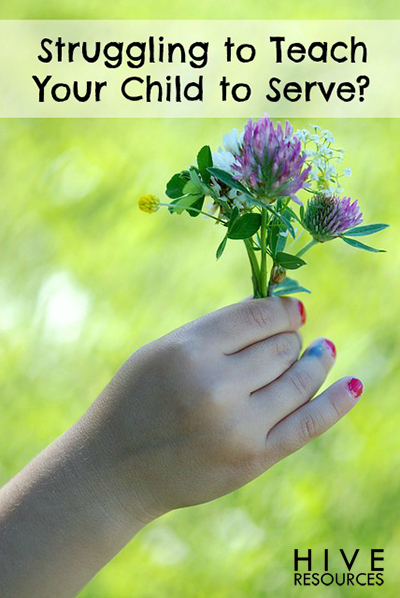 One day your child is being super friendly to the new kid, picking flowers for his sister and helping set the table. You’re feeling pretty good about this parenting thing. Your child is thinking of others and being helpful. Then the next day, you glance over, and he is the mean one in the group. Your daughter is not willing to help with clean up or your son just pushed some other kid. Is this becoming a pattern? What just happened? We’ve worked on this service thing. Why aren’t my kids being more considerate of others? Well, let’s take a step back. I’ve been busy lately . . . a little too busy. I am mama to a 3 & 5-year-old, wife to a great guy. I blog. I have another part-time “at home” job. 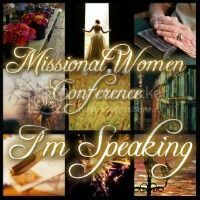 I am selling my house, working on designing a house, teaching Sunday School, usually in or facilitating a Bible study and editing a book for someone else. And I am entering birthday season . . . and if you follow my blog, you know as a former wedding planner, I love parties! Parties are always fun but never simple in my household. Why did I tell you all that? Not because I wanted to vent (but boy, that did feel good). No, I shared all that nonsense to tell you that in the midst of all my craziness, I have become self-focused. I have become more driven than usual, putting things aside that can seemingly wait until life quiets down. Yet, the problem is that life may never quite down. Sure I won’t be selling my house forever (or at least I hope not – another house showing may just put me over the edge!) But life is often busy when you have children and even just a few outside commitments. Over the last few months of living in this busyness, I realized that I have not been as service-minded as I would like to be. And it trickles down. How do I expect my kids to have hearts to serve if I am not regularly practicing an attitude that considers the needs of others and seeks out opportunities to bless other people? Even with practice, no kid, nor any adult for that matter, is going to have a heart of gold all the time. Kids will still be kids. They are young and in need of training and direction as they figure out how their world works. And just like adults, there will be a constant battle of our heart: serve ourselves or serve others? Scripture even tells us that our hearts are wicked by nature (Jeremiah 17:9). 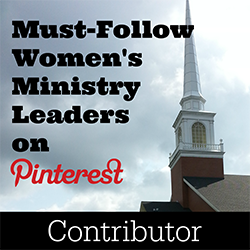 So what do we do when we feel like we are having to push our kids to serve? When we’re trying to move them out of the self-focused mentality that pervades our culture? Keep Blessing Others in the Forefront of Your Own Mind. This is what I hadn’t been doing. The busyness had clouded my heart. I was forgetting to practice a heart of service. But as I re-focused, I noticed the same happened for my kids. (Lest you think my kids are now perfect, they are not. Just spend a day hour with us!) Think about how much time your kids probably spend with you. This makes for natural and teachable moments. It can be hard to motivate young children to serve. 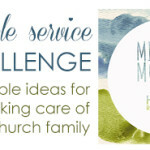 As a busy mom, I need simple ways to teach my kids to serve. One great way is to incorporate acts of service in my everyday living. When I wrote Teach Me to Serve, one of my goals was to provide numerous ideas that parents could weave into their normal life. Pray for the injured when you hear an ambulance. Help your neighbor carry something in. When your family member is sick, put your child in charge of getting the things they need. Serve each other dinner tonight. Do things together. Did my kids want to weed over at Grandma’s last week? No, they were more interested in playing with all her cool toys. Will your child always act with a heart towards the needs of others? No. But don’t throw the baby out with the bath water. This is a process. When I first asked my children to act as a waiter and serve someone else dinner, I met with resistance. But pretty quickly, I found them enjoying it and thinking ahead of what the person would want. Just the other night, my 3-year-old thought to get the mustard for her brother’s chicken without him even asking for it. Progress! While of course, I want my children to regularly think of others, there are going to be those days when they act the complete opposite of what I am hoping for. But I believe that as we model service toward others and as we make serving a natural part of family life from the smallest of moments to the large ones, we will see growth. We will see the excitement and pride our children have when they help someone else. We will see God glorified through the small hands of a child. That is worth the effort. Press on, Mom and Dad! 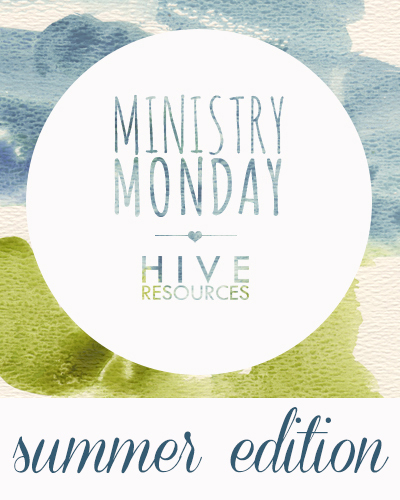 If you need ideas to teach your kids to serve, then this book is for you! 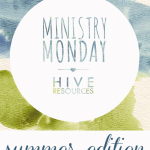 Use the code hive25 to get your copy today! It’s good till Friday, Aug. 2! Kristen Summers is a fun-loving mom to two kids who keep her busy and laughing. Add her great husband and the Lord to the mix and her life is one fantastic (and sometimes crazy) adventure. 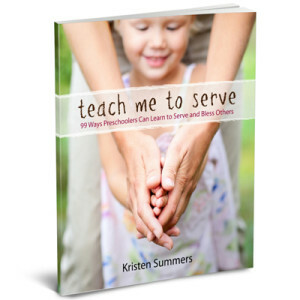 Kristen is the author of Teach Me To Serve: 99 Ways Preschoolers Can Learn to Serve & Bless Others. A former wedding & event planner, you can now find her blogging at Celebrate Every Day With Me where she shares fun ideas for children’s activities, creating memorable moments and party planning. Stop by and celebrate the everyday of life. You can also connect with Kristen on Facebook or twitter. And you won’t want to miss her Pinterest boards. Thanks for the encouragement in this area, Kristen and Melissa. This is absolutely the thing that gets pushed to the back burner when things get busy…like they always do. And I’m thinking that in addition to the math, spelling, etc., this resource would be perfect for our co-op this year. Thanks fcr the coupon! Hey Emily, Check with Kristen because she might be able to provide you with some additional group ideas! Or offer a discount for a group purchase. I agree, when my heart is inward focused, it impacts my children’s heart as well. So true. And thanks for the encouragement to not give up. Great post! I loved the ideas, too, Christina!